Happy Father's Day Brunch. 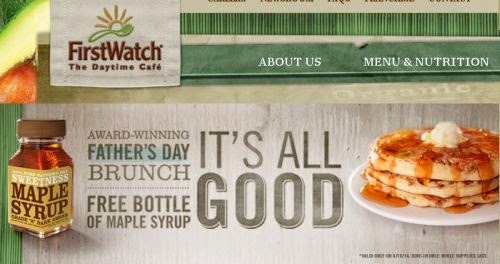 Get a free bottle of Syrup for Dad @ Firstwatch. Click the link below to go to the Firstwatch website to get the details on how to get a free bottle. Locate your local Cafe to ask if they are participating.